If you're looking for a qualified electrician in San Diego, you've come to the right place! 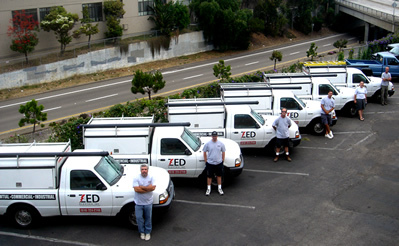 Zed Electric is one of the top Electrical Contractors in the San Diego Area. We can service all your needs inlcuding Repairs, Service and Diagnostics. We provide maintnence for your House, Office or Commercial Building. We can also work as a Sub Contractor for your job site. We offer competitive rates and years of experience to ensure you will always receive top notch service. Serving the Electrical needs of San Diego County, including, Point Loma, Ocean Beach, Cornado, Downtown San Diego, Gaslamp, Chula Vista, National City, La Mesa, Mission Valley and beyond. learn how to post your own review on Yelp!